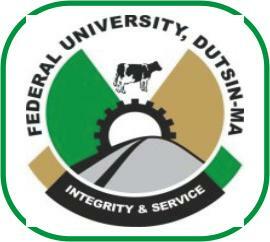 Federal University Dutsin-Ma (FUDMA) Center for Continuing Education [CCE] Long Vacation Training (LVT)/Sandwich Admission List, Screening, Registration Fees and Lecture Commencement for 2018 Contact Session Out. Authorities of the Federal University Dustin-Ma Center for Continuing Education has released and uploaded the admission list of candidates admitted into the Long Vacation Training, LVT/Sandwich Degree Programmes for 2018 Contact Session. 1 EZE IFEYINWA ESTHER ENUGU STATE B.A. (ED) ENG. LANG. 2 LAWAL YUSUF KATSINA STATE B.A(ED) ENG. LANG. 3 ADIE THERESA AKWENABUAYE CROSS RIVER STATE B.A(ED) ENG. LANG. 4 SABITU HABILA KATSINA STATE B.A. (ED)ENG. LANG. 5 HELON JANE GOMBE STATE B.A. (ED) ENG. LANG. 6 ENENCHE MERCY OYIMA BENUE STATE B.A. (ED)ENG. LANG. 7 SIDI JIBRIN KATSINA STATE B.A. (ED) ENG. LANG. 8 SAB,U YASIR KATSINA B.A. (ED) ENG. LANG. 9 GARBA SANI KATSINA B.A. (ED) ENG. LANG. 10 MALAMI AMINU KATSINA B.A. (ED) ENG. LANG. 11 ISAH RABIU KATSINA B.A. (ED) ENG. LANG. 12 DALHA ABBA S. KANO B.A. (ED) ENG. LANG. 13 MUSA HAJARA KATSINA B.A. (ED) ENG. LANG. 14 AHMED MOHAMMED KATSINA B.A. (ED) ENG. LANG. 15 KABIR UMAR GURBI KATSINA B.A. (ED) ENG. LANG. 16 UMAR ABUAKAR KATSINA B.A. (ED) ENG. LANG. 17 UMAR NASIRU KATSINA B.A. (ED) ENG. LANG. 18 AHMED AUTA ISYAKU KATSINA B.A. (ED) ENG. LANG. 19 HAMISU MANSUR KATSINA B.A. (ED) ENG. LANG. 20 ISMA’IL MUDASSIR KATSINA B.A. (ED) ENG. LANG. 21 AHMED JAMILU KATSINA B.A. (ED) ENG. LANG. 22 UMAR ABDU FARIN YARO KATSINA B.A. (ED) ENG. LANG. 23 JOHN PATIENCE MARAM PLATEAU B.A. (ED) ENG. LANG. 24 ADAMU HANNATU TANDAMA KATSINA B.A. (ED) ENG. LANG. 25 MUHAMMAD HALADU HABU KANO B.A. (ED) ENG. LANG. 1 NASIRU HAYATU ABUKUR KATSINA B.SC. (ED) MATHS. 2 ABUBAKAR SAMAILA KATSINA B.SC. (ED) MATHS. 3 TUKUR ABDULLAHI KURAMI KATSINA B.SC. (ED) MATHS. 4 YUNUSA RABIU KATSINA B.SC. (ED) MATHS. 5 IBRAHIM MURTALA KATSINA B.SC. (ED) MATHS. 6 MOHAMMED BISHIR KATSINA B.SC. (ED) MATHS. 7 LAWAL YAHAYA KATSINA B.SC. (ED) MATHS. 8 AUWAL USMAN ABUBAKAR KATSINA B.SC. (ED) MATHS. 9 LAWAL SAHALU KATSINA B.SC. (ED) MATHS. 10 ADEYEMI OLALEKAN OSUN B.SC. (ED) MATHS. 11 ABBA SULEIMAN KATSINA B.SC. (ED) MATHS. 1 MOHAMMED ABDULLAHI KATSINA B.SC. (ED)CHEM. 2 MOHAMMED RUMAH AMINA KATSINA B.SC (ED) CHEM. 3 BALA SAULAWA AISHA KATSINA B.SC. (ED) CHEM.